Conducting research with voters? With complete coverage of the entire USA, STS Voter Sample offers comprehensive coverage of all registered voters. Select from voters in past elections with speciﬁc voting history, by party afﬁliation or voting districts, or by demographic criterion such as age, income, gender, and ethnicity. STS Voter Samples are based upon the latest voter information available, and cover voters with both landline and/or wireless phones. 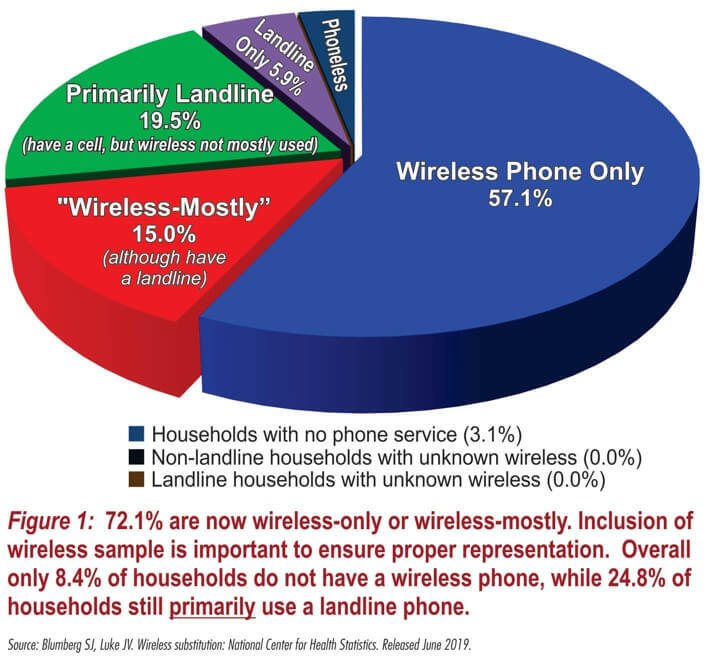 Inclusion of wireless phones is more important than ever, given that 52.5% of US households have only a wireless device. Further, “wireless-mostly” households make up 15.1% of all households. Thus, together 67.6% of all potential voters nationwide are reached only or predominately via their wireless device. STS voter samples can be combined with our other state-of-the-art sampling services such as RDD Landline, RDD Wireless, Listed Landline, and Enhanced-Wireless™ to yield a representative sample of both registered and likely voters. Contact an STS Account Representative today to discuss your data appending needs at info@stssamples.com or via phone at 1(800)944-4-STS. history, age, income, gender, etc.